he provides individual, group, and couple psychotherapy for people who struggle with depression, anxiety, personality related problems, eating disorders, sexual behaviors and/or experienced various types of trauma (sexual, physical, or intellectual abuse; emotional, intellectual, or physical neglect) and/or pregnancy loss (e.g., abortion or miscarriage). in his clinical work he prefers integrative approach with the emphasis on the following schools: existential, humanistic, psychodynamic, cognitive-behavioral, systemic, and gestalt. it is, however, therapeutic alliance, not any particular theory or technique, which he recognizes as the main vehicle of change and healing on the road to authenticity. 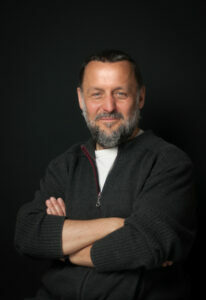 he provides psychotherapy and supervision for psychotherapists in training as well as for experienced psychotherapists. he supervises both psychotherapy and supervision. his research interests include: psychotherapy process and outcome, trauma, and existential-humanistic psychotherapy. – psychotherapy research design and analysis. he worked as assistant professor (2004–2006 and 2010–2015) in the Department of Neurotic Disorders and Psychotherapy, at the Institute of Psychiatry and Neurology, Warsaw, Poland. he worked as visiting assistant professor (2007–2010) at the Clinical Psychology Department at Brigham Young University, Provo, UT, USA. he is certified supervisor and psychotherapist by Psychotherapy Research Section of Polish Psychiatric Association and New Experience for Survivors of Trauma. he is certified psychotherapist by The American Group Psychotherapy Association and European Association of Psychotherapy. he serves as president of New Experience for Survivors of Trauma since 2013.
he serves as chair of the Scientific Board of the Wrocław Psychotherapy Foundation training for future psychotherapists accredited by the Psychotherapy Research Section of Polish Psychiatric Association, since 2013.
he is member of Society for Psychotherapy Research. he served as Senior Fulbright Fellow (2007). he was a grant holder of the Batory Foundation (1997), Leonardo da Vinci Project (2002), and David M. Kennedy Center (2010).